Technology’s record in the last century was often replacing music making with music consumption. But in this century, that might turn around. Google seems to hope so. Today, the company posted a set of free sound toys on its site, all running in your browser. They’re fun diversions for now – but thanks to open code and powerful new browser features, they could become more. You’ve possibly come across the first experiment, available as a Google Doodle on the search engine’s homepage. 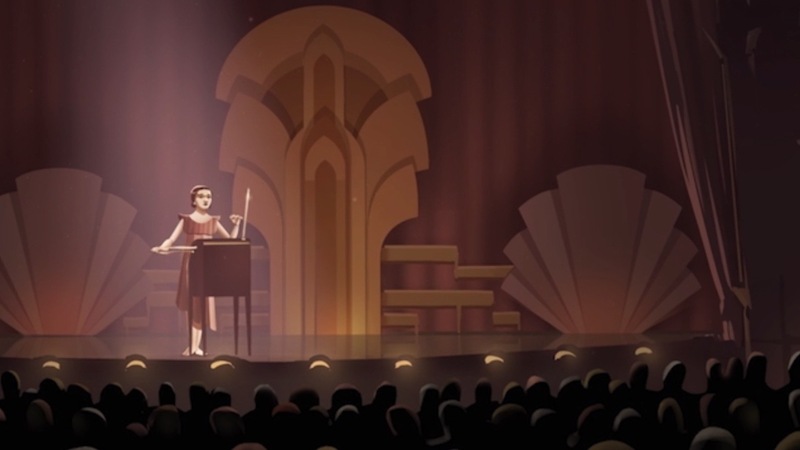 In that, Clara Rockmore teaches you a simple melody on a simulated Theremin. But there are more – and education is the apparent goal. Google says they’re assembling the so-called “Chrome Music Lab” in honor of “Music In Our Schools month.” The idea is to let you explore how music works. Perhaps more interesting than that, though, is how these experiments are delivered. By running in the browser, it’s possible to make lessons available instantly, anywhere – and to let you interact with them at your own pace. “Chrome” is of course featured, but I found myself running experiments in Safari, too, without incident. The funny thing is, we’re now catching up to an idea that was already in proof of concept form some twenty years earlier. For example, Morton Subotnick may be known to most these days as a pioneer of composition and modular synthesis – and he is that – but in 1995, he did something very like these experiments. “Morton Subotnick’s Making Music” for Voyager included a series of interactive toys intended to allow kids to play with advanced music concepts quickly. Back then, the delivery mechanism was multimedia CD-ROM, requiring Mac and PC machines with particular specs to realize the content. Apps, of course, did this (particularly on iOS) – and sure enough, there’s a Subotnick painting app for iPad from a few years ago. But the ability of the browser to catch up means the chance for the screen used for everything else to become musical. 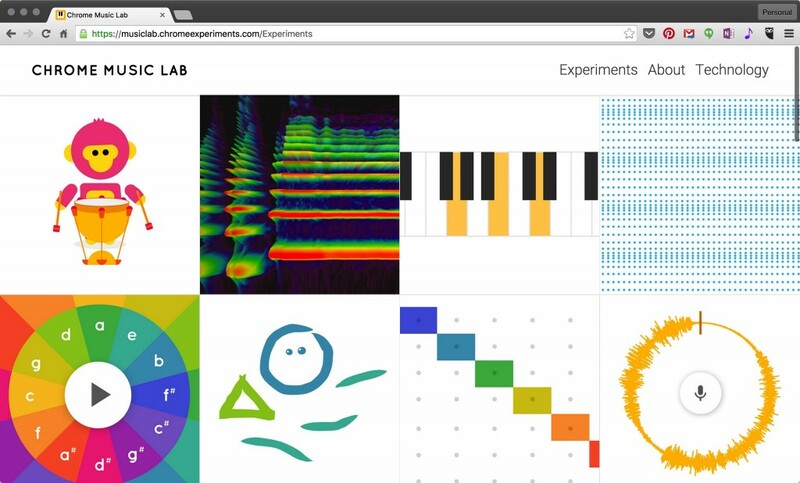 Now, while kids might use the Chrome Music Lab to learn about music, coders might use it to learn about code. Each example is free and open source, so you can learn from it and modify it. And the “lab” includes software built on key, open technologies. 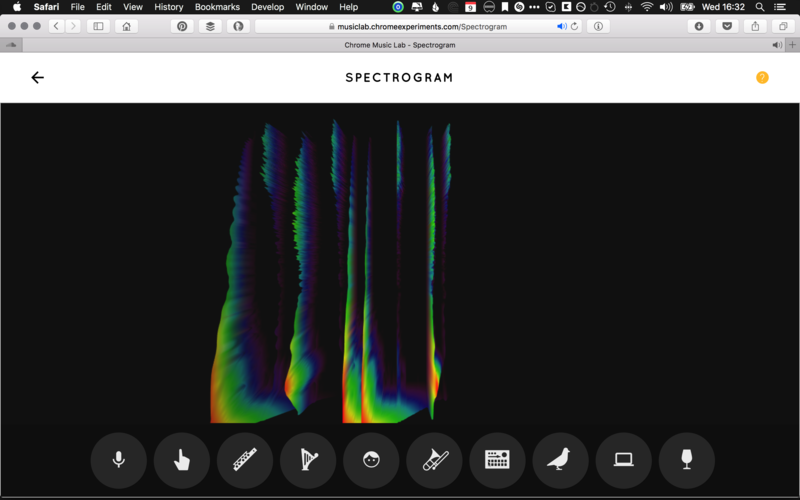 Sound is delivered via the Web Audio API. WebGL and PIXI.JS make powerful graphics and animation easier. There are also tools (Tone.js and a microphone API) that make adding sound functionality less of a chore. Just click the question mark icon on any experiment, and you’ll find information on the developer and a link to code on GitHub. I find it actually a bit curious that Google says these are collaborations between coders and musicians – of course, these days, there’s often no distinction. But I can imagine collaborations between coder-musicians, music educators, and more expanding around this. The browser could be a place where we mess with music and learn literacy in music, expression, code, and math. And if you aren’t optimistic about that, well… uh… share this and likely just listen to all the coworkers / family members / coffee shop goers who are making strange Theremin sounds and dragged away from things like American Presidential politics. I rest my case.